Find just the right words for your own love letter, read what others have written & get inspired! Love letters, for those lucky enough to receive them, are cherished reminders that we are loved. They’re the result of another person taking the time to put into writing how you make them feel, creating a special memento that is treasured forever. When you have a letter destined for only one very special person, you know it’s going to be truly special. Tucked away in a box under the bed, pinned to a wall, or framed—love letters are increasingly rare but still the quickest way to show your feelings. You start with a blank piece of paper and soon it becomes a part of your history. They’ve also been around for as long as people have fallen in love and are true expressions of our emotions. They’re one of the most romantic ways of letting someone know how you feel and have been delivered in many different ways throughout history—by hand, the pony express, carrier pigeon, snail mail, email, courier and even tweets. Show that special someone how much you care and post your own love letter or short love message just for them! 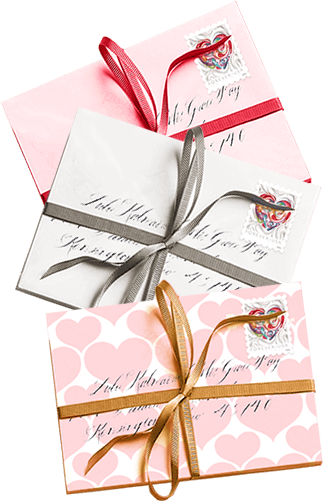 And, because love letters come in all shapes and sizes, they fit any relationship—from a secret admirer, to new love, to a celebration of a long romance. 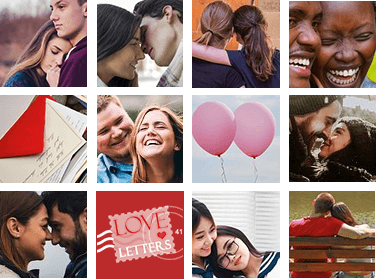 LoveLetters411 is a treasure trove of sample love letters, secret love letters, romantic love letters, cute ones, sweet ones, funny ones, and more… Letters for boyfriends and girlfriends, for him and her, and love letters written in long distance relationships.